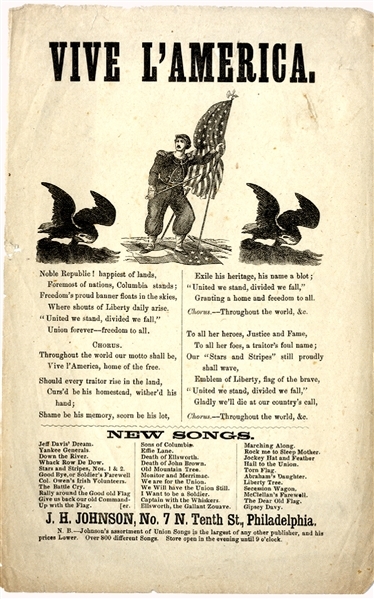 Union patriotic songsheet “VIVE L’AMERICA” 1pp. quarto, by J.H. Johnson of Philadelphia, with eagles and Union soldier planting the colors on a fallen Confederate flag. c. 1862. Fine condition.